Q: What is Burlington Plantation? Bride’s Cottage with full kitchen, beauty salon, sleeping quarters, two full baths, ample room for day-of preparations. The unique Ice House bar which sits atop the circa 1700s brick ice pit. The Stables at Burlington. 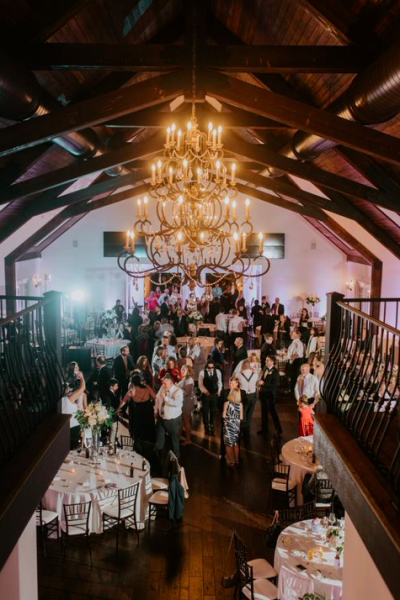 This ballroom features nearly 5,000 square feet of open event space, soft natural light from its cupolas, ample windows and French doors and high-end, elegant accents including multiple stunning chandeliers. Lofted mezzanine can be used for a grand wedding party entrance or additional seating for large events. It also includes a state-of-the-art warming kitchen for catering needs. For outdoor ceremonies, the scenic Sunken Garden can accommodate large or small events. All of our buildings feature modern amenities – heating and cooling, and backup generators. Q: Where is Burlington Plantation? A: Burlington Plantation is located in Charles City County, Virginia, conveniently nestled between Richmond and Williamsburg. The venue is a short drive from locally and nationally known restaurants, shops, and hotels. Q: What is there to do around Burlington Plantation? A: Burlington Plantation is within a short drive of a number of Virginia attractions. We are situated along the Virginia Capital Trail, a 55 mile-long pedestrian and bicycle path connecting the capitals of Jamestown and Richmond. This region offers a host of award-winning wineries, fine dining, upscale shopping, theme parks, historical sites and cultural tours. See our Area Attractions page to plan your weekend activities. Q: How do I reserve Burlington Plantation for my event? A: Contact us to schedule an appointment. Rates vary by season and event type. Please consult our Services page for pricing. Q: How many people can I host at Burlington Plantation? A: Our flexible indoor and outdoor spaces can accommodate a range of event sizes. 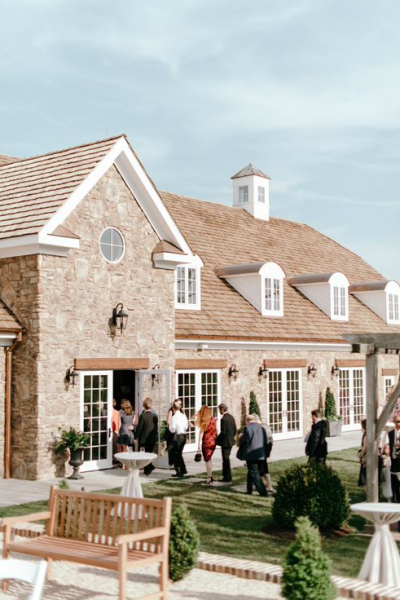 The Stables will host up to 500 guests indoors cocktail-style; up to 300 for a seated dinner reception. The Sunken Garden is ideal for groups of 60 to 80. Q: What are my options for a weather contingency plan? A: You never need to worry about the weather interfering with your event at Burlington Plantation! In the case of inclement weather, outdoor ceremonies and events are held in the The Stables grand ballroom. Generators provide uninterrupted power so your special day won’t miss a beat! Q: May I stay overnight at Burlington Plantation? Each building is equipped with at least one full bathroom. The Bride’s Cottage has a full kitchen for guests’ convenience. Q: Will Burlington Plantation host multiple events at once? A: As our guest, you are our priority and will receive our very best individualized attention, as we only allow one event at a time. Q: Do I need a wedding planner/day-of coordinator? A: At this time, Burlington Plantation does not provide wedding planning services. You are required to provide your own day-of wedding coordinator. Burlington Plantation staff and representatives are in place day-of event to provide you with the very best venue services only. Please refer to our Services page for details. Q: May I hold my rehearsal dinner at Burlington Plantation? Q: May I bring my own caterer? If serving alcohol, provide valid ABC license for the event. Please contact Burlington Plantation staff with any questions regarding vendors. Q: Is there a minimum or maximum facility rental time? A: The event may last a maximum of six hours but must be finished by 10 PM, regardless of start time. Access to the Bride’s cottage begins at 11 AM day of the event. Access to the Groom’s Den begins two hours prior to the start of the ceremony; however, we are willing to make exceptions if needed earlier. Q: Are there time restrictions for set-up and break-down and/or arrival of vendors? A: All other vendors are granted access at 10 AM the day of the wedding. All events must end at 10 PM. Vendors are granted 1.5 hours for post-event cleanup. Please refer to your Agreement for more details. Q: Do I need a special ABC permit to serve beer, wine or cocktails at my event at Burlington Plantation? A: Yes, all alcohol must be served in accordance with Virginia ABC laws and by a professional bartender, either through your caterer or other hired service, for the duration of your entire event. We require a copy of the caterer’s ABC license or you may provide us with a day-of banquet license individually procured from Charles City County. All guests will be served within the limitations of Virginia ABC regulations. A: There are no refunds once a contract has been signed; however, certain exceptions can be made. Q: How many vehicles can Burlington Plantation accommodate for parking? A: We have ample parking for any event size including bus, limo and handicap accessible spaces. Q: Is Burlington Plantation accessible for the handicapped? A: The Stables at Burlington Plantation is ADA compliant to ensure all guests are able to enjoy their events to the fullest. The property is equipped with wide brick walkways and Burlington Plantation staff is happy to assist with the transportation of disabled or elderly guests across the venue. Please let us know in advance of your event if your guests will need special assistance. Q: What is your policy on children at events? A: We welcome guests of all ages and simply ask that they be supervised at all times. You may bring a babysitter 18 years or older to Burlington Plantation. We are happy to arrange for children to be watched in the Groom’s Den or Bride’s Cottage. Overnight guests must be 12 years or older. Q: May I bring my family or vendors to see the property before the event day? A: Guests who have paid their deposit and wish to visit the property with vendors, etc., are limited to two visits, by appointment only, before the event day. A: Pets are not permitted; however, we welcome certified service animals. Q: May I take engagement photos or bridal portraits at Burlington Plantation? A: Photography at Burlington Plantation is reserved for contracted clients only, who may choose to have either their engagement photos or bridal portraits taken in accordance with the limitations presented in the Agreement. Q: How can I schedule a tour of Burlington Plantation? A: We would love to show you around our beautiful property. Please contact us to schedule a time to tour. Thank you for contacting Burlington Plantation. We will respond to your inquiry promptly.